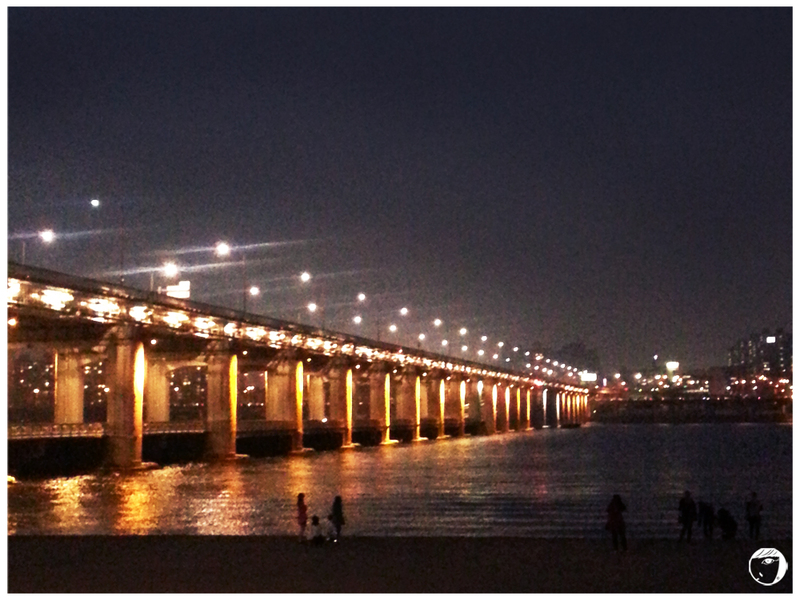 Han River passes through Seoul city and there are many bridges cross the Han River. 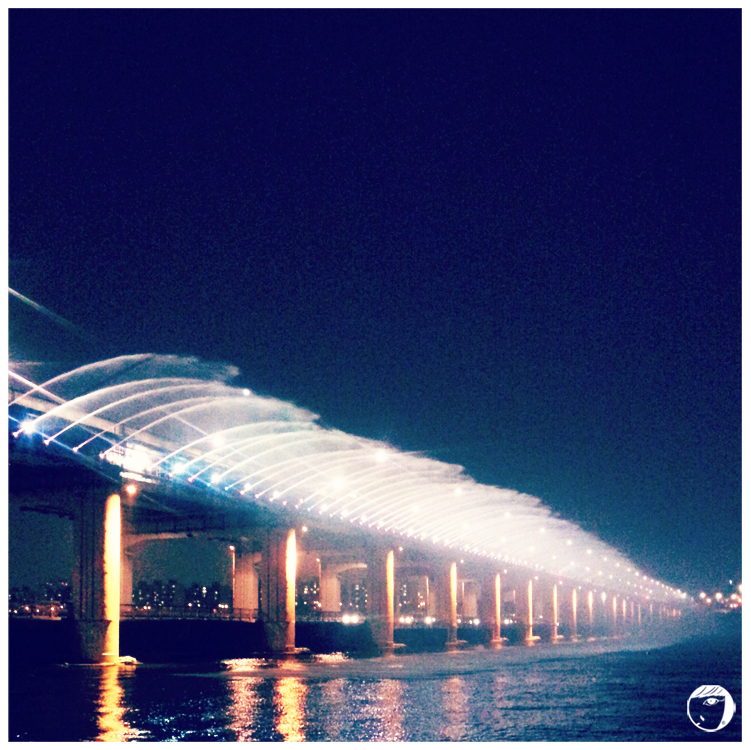 One of the famous spots amongst the tourists to enjoy the magnificent view of the river, is Banpo Bridge. It is famous for its Moonlight Rainbow Fountain. Banpo Moonlight Rainbow Fountain is the country’s premier light show extravaganza and the world’s longest bridge fountain. The fountain is programmed to play different shows during the day and night. During the day, the fountain shows a hundred different configurations meant to evoke waving willow branches and willow leaves. At night, lights will illuminate the fountain and sends up dancing, rainbow-colored jets of water in the air in synchronisation with music. Visitors can see the show from April to October, 5 times a day on the weekdays, 6/7 times on Friday and weekends. There will be no show during the winter. The show is about 20-minute length. The water jets will dance along in musical styles including classical music with commentary, acappella, popera, jazz, brass bands and orchestras. We will need to walk for about 20 minutes to the bridge from the nearest subway station: Express Terminal Station. There is a huge underground shopping centre, bigger than Gangnam station underground. It is better to come here earlier since you have to take a 20 minutes walk to reach the bridge. All the tiredness from walking will gone once one sees the beauty of the dancing fountain. It is really beautiful and romantic. 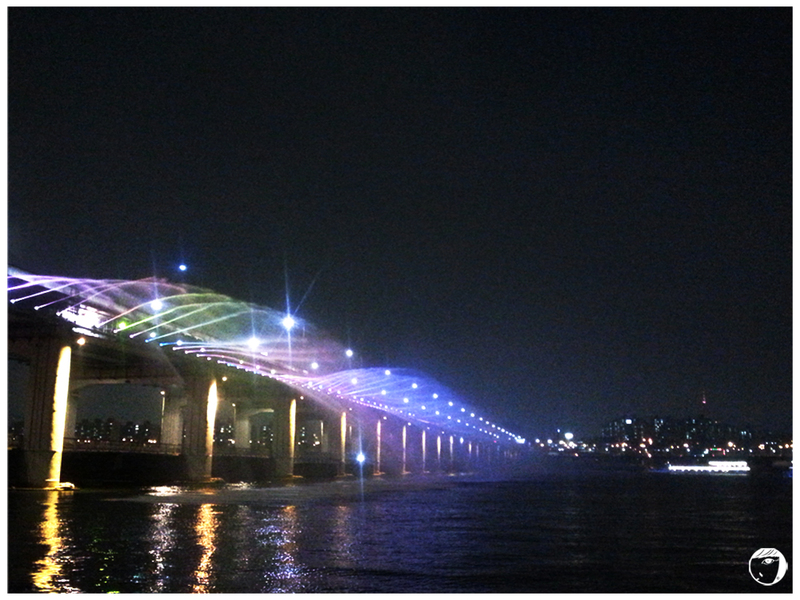 Banpo Moonlight Rainbow Fountain is indeed a must visit place for those who are going to Korea. Take subway to the nearest station is Express Terminal Station (Line 3, 7, and 9) and take exit #8.1. Go straight for 250m, turn right at Express Bus Terminal 4-way intersection. Continue going straight for 400m and cross the street at the crosspark. You will see an underground passage. Walk into the underground passage and take the first exit.